A website by four Maine family members who love talking about the Red Sox in loud voices. The Red Sox have started the year with 4 wins in 6 tries against the Rays. three of 4 on Patriot's Day weekend and a split of two games in St. Pete. After this three game set, the season series between these two teams will be half over. Another story line will be if any of bad blood that began to brew last week in Tampa Bay, precipitated by Adrian Gonzalez " predicting " a home run, and David Price and his twitter pals calling for AGon to be drilled, which he was. One last lineup note, to illustrate the Rays lack of offense in general and especially with Evan Longoria on the DL. In place of Longoria tonight, the Rays are playing former Red Sox fill in, Drew Sutton at third. The Red Sox have been on a streak of winning or splitting series. Hopefully at least 2 of 3 this weekend will continue this before the Tigers come to town for 4 games starting on Memorial Day. So the fireworks did continue in the opener of the Rays-Red Sox series, as Luke scott was thrown behind and eventually drilled by Franklin Morales. And Dustin Pedroia was drilled in the ribs earlier in the game with first base open. After the game " Genius" Joe Maddon informed the world the tosses in the direction of Luke Scott were among other descriptions a "cowardly act" and adding he did not know who ordered the " hit" on his player. If Maddon were half the genius the ball washing media makes him out to be, he might have concluded a more cowardly act may have been to get revenge on his team for drilling our best player by hitting Matt Joyce who hit a Grand Slam earlier. But we choose Luke Scott who ran his mouth all winter about Fenway Park and the Red Sox fan base. The Sox were in part defending their stadium and fans just like Tampa Bay would do....oh wait I forgot the Rays play in a tractor pull arena and despite winning in recent years have no fans attending their games to speak of. As far as who started this act that aggrieves Genuis Joe so much, he may look at his so-called ace pitcher, David Price, who tweeted( or re-tweeted, whatever) that Adrian Gonzalez should be hit by a pitch in Tampa Bay for off-handedly remarking to the Boston media that he would hit a home run the next night vs. the Rays. And golly gee, those innocent Rays and rookie pitcher Matt Moore just happened to drill AGon in his first at bat after Price's tweet. And one last point about Mr. Scott getting thrown behind and hit eventually. If the throwing behind Scott was a crime, why no warnings issued then. If Scott getting drilled was a affront to baseball, why was no one including the pitcher, Morales, ejected from the contest. Because even the mediocre bunch known as MLB umpires saw it for what it was. Just baseball. Shut up, Joe. I have to admit I turned the game off on Friday night after Lester gave up the grand slam to Joyce. I have seen the highlights of the benches clearing brawl and heard some sound bites of the two managers. I love it!! This team has obviously started to play better lately, but it also appears as though they are building some chemistry. Last thing is that I'm loving the development of one Jarrod Saltalammacchia. He really seems to be asserting himself behind the plate and starting to produce with the bat. 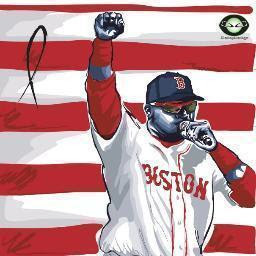 Red Sox Maineiacs on Twitter! 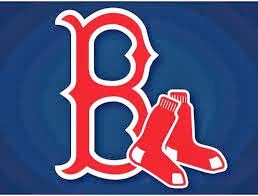 Follow the Red Sox Maineiacs by Email! Can Sox Dodge Another Major Injury? Live Chat Tonight at 7:00! Live Chat Tonight at 7:00pm! Live Chat Tonight at 8:00pm! Is Clay Buchholz Throwing Spitballs? Should the Red Sox retire Wade Boggs’ Number 26? Picture Window theme. Theme images by adamkaz. Powered by Blogger.